Korean Connection managed to create a big event: SMTOWN LIVE WORLD TOUR will take place in Paris on June 10, 2011! It’s official: f(x), SHINee, SNSD, Super Junior and TVXQ will take part in this show! The tickets will be on sale on Ticketnet.fr or La Fnac for example, starting from April 26 at 10am (Paris time). 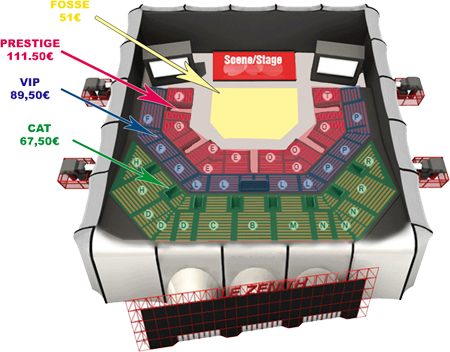 Soundcheck package gives the opportunity to attend the rehearsals. According to Live Nation, the concert will start at 7pm (Paris time). For any questions and requests about the concert, please send an email to event@koreanconnection.org with "Concert K-Pop" as subject.